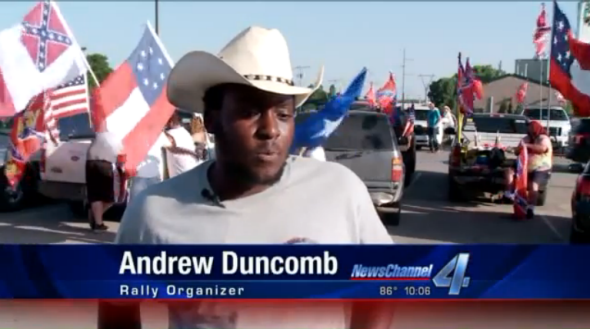 Obama, Confederate flag protesters Oklahoma: Local drips and derps congregate. 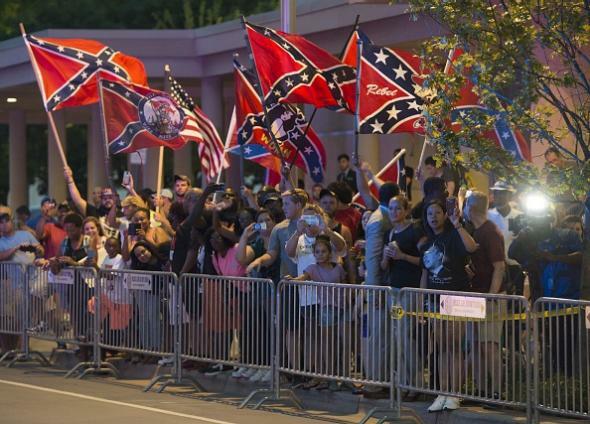 A crowd outside President Obama’s hotel in Oklahoma City on Wednesday. 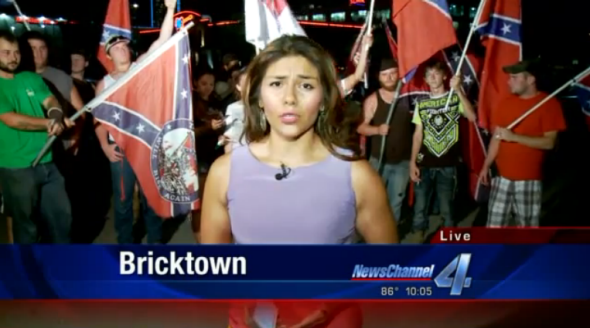 Local meatheads gathered to welcome America’s first black president to Oklahoma on Wednesday by waving the battle flag of a slave state outside his hotel. And the ringleader was black! “We don’t believe it’s a symbol of racism,” Andrew Duncomb, an organizer who calls himself “the Black Rebel,” says. “Again, look at these people, they all followed the black guy out here. Do you think that any of them are racists?” Duncomb says. Wearing a T-shirt bearing Obama’s picture, Sequoya Turner stayed at the demonstration site at the convention center across from Obama’s hotel 45 minutes after the flag-bearers had left, trying to compensate for the flag display. “He should’ve had a better welcome than he had,” Turner said, breaking into tears.